Is It Possible to Learn Telekinesis? What Does a Psychic Vision Look Like? Clairvoyant abilities can include clairvoyance, psychic abilities, ESP, mind reading, and many other psychic clairvoyant abilities. These talents of the mind remain hidden and untapped in most individuals. However, you may have a little more extrasensory perception (ESP) than you've previously realized. Have you ever had an inkling that someone was discussing you behind your back? Perhaps you've just known who was on the other end of that telephone ring without the benefit of checking your caller ID first. As simple as these things may seem, they can be signs you may have the gift of clairvoyance just waiting to be explored and developed. Strictly speaking, clairvoyance falls into the category of a sixth sense that enables some people to "see" past, present, and future events in their mind's eye. These events are typically something the seer has no normal way to know about, and in fact, it may take the seer some time to relate the vision to real world happenings. Sometimes these images come like you're watching a movie, other times they are less precise and more like a feeling or impression that lacks precise details. Some clairvoyants receive these images as dreams while others experience them during waking hours. Still other clairvoyants may gain impressions about people and events from the energy vibrations they feel when touching certain objects. Just as nothing researchers think they know about the paranormal is written in stone, the same can be said of clairvoyance. It is an individual talent that manifests in a way particular to the person who has it. Here at LoveToKnow Paranormal, all branches of clairvoyance will be explored with an aim toward divining the truth. 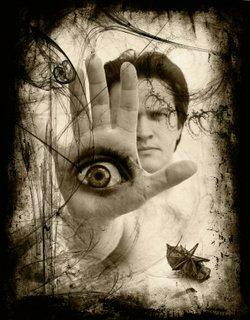 Learn how to tell a genuine psychic from a phony, or find out where to test your own ESP levels. Read about the powers of psychokinesis, telepathy, clairaudience, and more in order to expand your horizons. You can also share your own thoughts and experiences in the comments box on any page. All viewpoints are welcome when delivered in an atmosphere of mutual respect. Come back often to see how the channel grows.